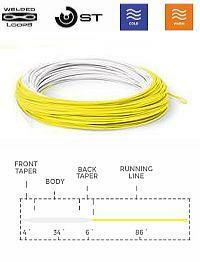 Double taper and WF floating fly lines for stillwater and trout stream fishing: High Float, Hi-Viz, Delicate Presentation, Extreme Distance. 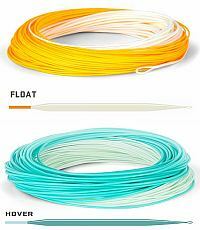 An extensive range of floating lines from Snowbee, Loop, Rio, Cortland, Orvis, Vision. The Loop Opti Drift incorporates a specific short taper profile to maximise both casting efficiency and fly presentation when overhead and underhand casting. Developed to excel in challenging wind conditions, this line configuration is also a highly effective solution for fishing in restricted areas where casting space is limited. 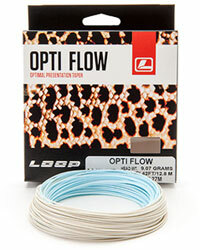 With an extended back taper to enhance mending and a dual coloured profile to optimise line lift, the Opti Drift is an excellent performance fly line for freshwater species. 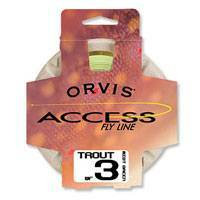 The ideal all-purpose fly line for a range of fly fishing situations. The perfectly balanced taper is developed for a range of applications from short range dry fly presentation to kicking over heavy streamers at distance. Available in either floating or neutral density, the lines profile is optimised for quick rod loading in any fishing situation from small spring creeks to large rivers and coastal waterways. 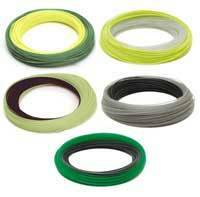 The Flex is simply an outstanding multi-application fly line. The Loop Q Fly Line is an excellent multi- purpose weight forward line solution for a cross-section of fly fishing applications. Finished in a stealth green colour to reduce line flash and enhance fly presentation, the Qs profile is configured for effective fly line turnover in all conditions. The all new Opti Flow is specially designed for the smoothest presentations. 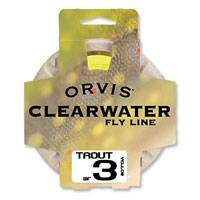 Its long front taper allows you to cast and present your fly at all distances. 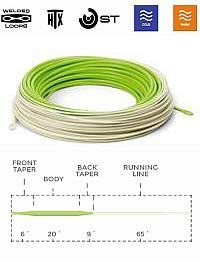 The long back taper is a great loading zone for spey casting and makes long distance overhead casting effortless. 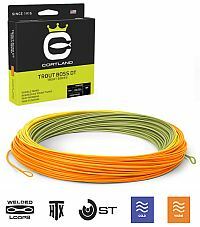 This special tapered fly line makes you control your casting in all situations. Comes with an integrated loop at front end. 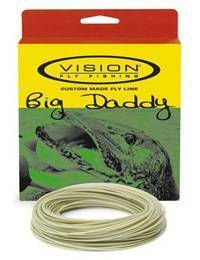 Big Daddy is a line which is designed for both big and air resistant flies. It has a short, 8,5meter head with very aggressive front taper giving you really good turnover of bulky flies. The low stretch core, combined with super slick grooved coating with built-in Teflon, transfers the casting energy in the best possible way and gives a clear advantage hooking hard headed fish firmly even at long distances. The short and heavy head is easy to handle and shoot but at the same time the thicker running line gives you an opportunity to aerialize longer line without collapsing your cast. 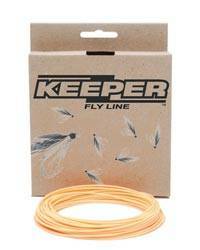 Keeper Fly Line is a well balanced easy casting Weight Forward floating fly line. It is designed to load modern fly rods easily and performs well in all fishing situations.This self-lubricating line is supple and remains memory free even in cold conditions. So if they feel too light it's your previous rod or previous line that matched incorrectly. Cult lines have a softer coating to optimize presentation. These lines have classic WF and DT profiles. The Shakespeare Sigma is a premium line with a beautifully even taper, an ultra smooth coating and a superb suppleness, regardless of weather. 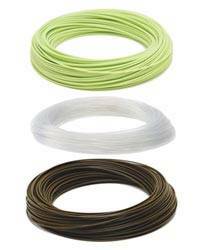 Available in floating, intermediate and sinking, these Sigma Fly Lines are easy to cast, load the rod quickly, and their super-smooth coating aids shoot ability and distance. 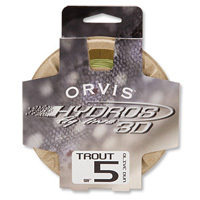 The Trout Boss is Cortlands top-of-the-range trout fly-line and features an innovative coating and taper. 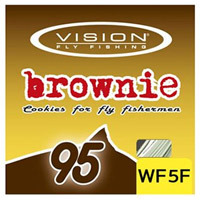 The unique WF taper and 64ft head ensures the Trout Boss excels at extreme distance casting, whilst permitting easier to roll-casting (eg, useful on rivers under a low canopy or when boat fishing with a dry-fly cast) and longer mends (eg, good for loch-style fishing if you want to prevent drag in a cross-wind). The head has a 25ft back taper which allows more line to be aerialised without overloading your rod. The Trout Boss features Cortlands proprietory PST coating materialfor reduced friction and it also has an 18in high floating Dyna-Tip. This line brings out the very best in medium-fast and fast action rods. 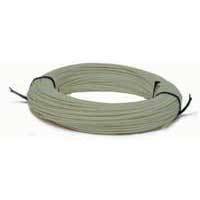 An entry level fly line designed to aid the inexperienced caster. 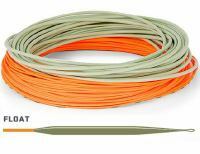 This beginner fly line is built a half-size heavy to help load the rod. New sleek and durable welded loop makes leader attachment quick and easy while holding up to repeated use. Helps to transfer energy more efficiently to the leader allowing better turnover. Built with Integrated Slicknessa patented additive that produces high line slickness for longer casts and reduced friction. Keeps lines cleaner longer to help with floatation and overall performance. 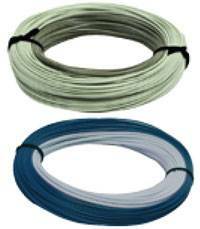 Versatile freshwater floating fly line offering outstanding performance across a broad range of conditions. Supple braided multifilament core. 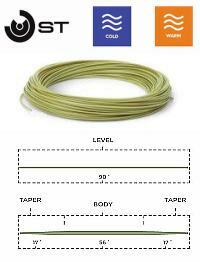 Weight forward fly line with mid-length head for easy casting and mending. Opti 130 Distance is the line for long distance casting. The long belly and adjusted taper gives a fine balance between delicate presentation and very long reach. This line was developed for situations where distance is critical to success. Head length is 13.0m. Opti 165 Distance is the line for long distance casting. The long belly and adjusted taper gives a fine balance between delicate presentation and very long reach. This line was developed for situations where distance is critical to success. Head length is 16.5m. Opti 210 Max Distance is based on the same concept as the Opti Distance, but has an even longer belly and corresponding balanced taper. This line was developed for the longest possible single hand casts and max distance in both angling and competition situations. Head length is 21.3m. New super coating  with Teflon®! 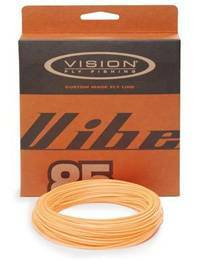 Vision's Vibe lines have a long lasting slick and supple coating which remains memory free even in cold conditions. The slickness is achieved by adding Teflon® particles to the coating and this way the slickness doesnt wear off either. The low stretch core helps you to feel the takes and it also transfers casting energy far more efficiently than traditional cores. Evotec 85 is designed for both over- and underhand casting in tight spaces and at medium distances. With a head lenght of 8.5 meters plus 2- meter back step and a unique compound rear taper, the 85 delivers maximum technical capability when limited room is a factor. Evotec 100 covers everything: over- or underhand, short or long casts. With a 10.4 meter head length, plus a two meter back step and a unique compound rear taper, the Evotec 100 is the clear choice for a technical allround line. Evotec 140 is designed for both over- and undehand casting everywhere from medium to extreme long distance. With a 14 meter head length, plus a 2- meter back step, a unique compound rear taper, this line is the ideal chioce for technical caster who want to reach out to the far bank without wading. Xact is a line suitable for most fishing situations. It has a traditional weight forward taper that is easy to cast and matches well to different rods. The Xact is our top recommendation for a great all-round line. The Rio Gold fly line has a revolutionary design that allows for incredible loop stability at distance, a unique taper that allows a rod to load at close range and a positive front taper that delivers perfect presentation of flies between sizes #22 and #2 , RIO Gold is the ultimate all-around, floating line for freshwater fly fishing. 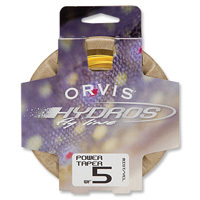 The long back taper is excellent for mending and for roll and spey casting and the running line and head are different colours, making it easy to find the lines perfect loading point. The Rio Gold line features RIOs XS Technology for an extraordinarily slick, dirt-repelling coating, as well as AgentX and Super Floatation technology that ensure the tip and the running line will float high. Rio Gold dual tone fly lines have a welded loop on both ends of the flyline facilitating leader change and permitting fast rigging and line changes. A new pink RIO Gold line is now available, with RIOs proceeds from all sales going to Casting for Recovery. 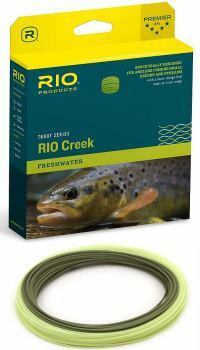 The RioTrout LT fly line has been designed for the ultimate in performance for traditional trout fly fishing techniques. Rio LT lines features a long, delicate front taper ensuring the softest of presentations, making the line perfect for fishing dry flies, spiders, emergers, small nymphs and chironomids. The LT's extended body gives the line stability at range and makes mending and roll casting easy. The weight distribution helps load a fly rod when fishing at short range or on smaller rivers and creeks, though it is manufactured precisely to the AFTMA standard and is ideal for all but the fastest of fly rods. 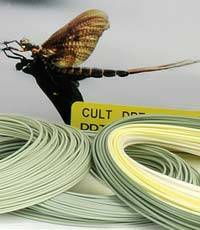 Snowbees new premium fly line, combines all the attributes of the current XS range, but in a new Hi-Float coating. This new, ultra-buoyant material avoids tip sink, making this the ideal dry fly, or light nymphing line. 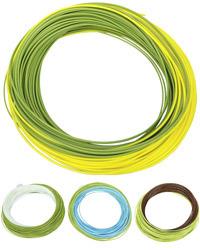 Available in 2-tone olive up to line #5 for the river and 2-tone blue in line weights #6-#8 for the reservoir. The Flagship of the range, the original Prestige. Without doubt still one of the best floating fly lines today. Its unique combination of ultra-low friction coating, superbly balanced profile and outstanding shootability, make this a fly line which enhances the performance of the world's best fly rods and brings out the best in casters of every ability. The original Snowbee twin colour (Ivory/Blue), first used by casting instructors and demonstrators world wide, to perfect and demonstrate their art. The best of Snowbee XS standard fly line design with a simple colour enhancement to assist every fly fisher to perfect their technique. 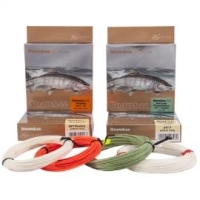 By popular demand, the Snowbee XS Floating line, in a Hi-Viz Orange outstanding visibility for Nymph, Boat or Competition angler, coupled with the renowned Snowbee XS performance. Provides added visibility in overcast and rough conditions. 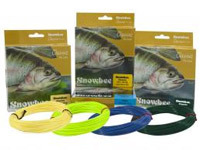 Snowbee's Delicate Presentation fly line, originally designed for 'Thistle Down' presentation on the river, has received high recognition in professional circles. If anybody thought that rivers were the limit with this line they would be mistaken. 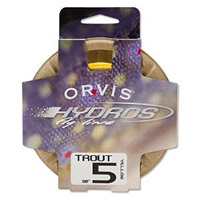 The Continuous Rear Taper (CRT) profile has surprised many when demonstrating, and on still waters where dry fly casting using the #5 and #6WT versions with the lightest of tackle, has proved effortless and delightful. A double taper fly line, incorporating all the superb properties of the original Snowbee XS Weight Forward Floating line, designed for the traditional angler not yet converted to the Delicate Presentation but where fly presentation is still everything and still great for delicate spider and dry fly fishing in particular. Snowbees XS-tra distance lines use a shooting-head profile designed for extreme distance casting. The 30ft head, runs into a continuous, fine diameter running line for the ultimate shootability. The overall line length is 40 yards and early trials regularly saw the backing line loop rattling through the rod rings! Total length: 27 m. Available in class 2-9. Important! Use WF3 for rod #3, and so on. Total length: 30 m. Available in class 3-9. Loop's Opti Creek line could be deemed the nemesis of vigilant fish. The line is a development of the Opti Streamline and has a somewhat shorter head for better feeling and presentation. You get the advantage over the fish. Not the other way around. 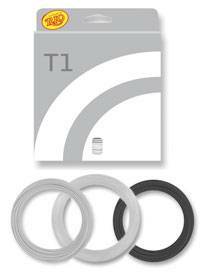 The taper is refined for an even better presentation and is suited both for over and underhandcasts. For running water, this is the line you need. Opti Creek WF2-WF4 Float. Length: 15m. The RIO Grand is one half size heavier than the AFTMA standard and features more weight distributed toward the front of the line to easily load fast action fly rods. RIOs AgentX Technology gives the RIO Grand maximum floatation and the XS Technology produces a wonderfully slick, dirt-repelling finish for easy distance casting. 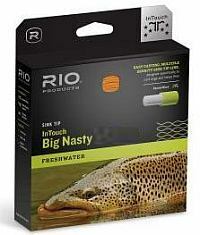 The Rio Grand line is built on a braided multifilament core that ensures the line remains supple in coldwater conditions, and the Super Floatation Tip ensures the line tip doesnt sink. 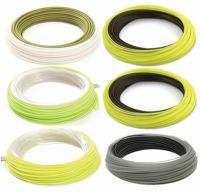 It also features a welded loop for changing leaders, which can be cut off without compromising the flylines performance. RIO Grand fly lines have a different colour running line to easily determine the loading point of the line, and a welded loop on the back end to make light work of rigging. 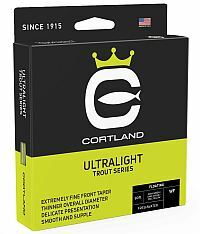 Cortland Ultralight lines feature a long front taper for very delicate presentations and precise loop control. 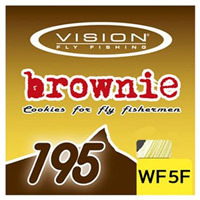 If you are fishing long dry fly leaders 18 to 20ft, this line is the one you want. Just great presentation and turnover ! The Trout Boss just got more boss with a complex new taper, thinner core and our new proprietary heat-tempered surface treatment (HTx). The Cortland 333 name has been an integral part of fly fishing around the world for more than 50 years. First introduced in 1953 as the 333X, with the X being for experimental, this line was the very first synthetic fly line ever produced.